Manchester's are constantly invading new territory in the dog world as they make inroads into competitive sports and activities like conformation and obedience as well as flyball, agility, coursing, canine freestyle and earthdog trials across the country. If you can train for it, they can do it! 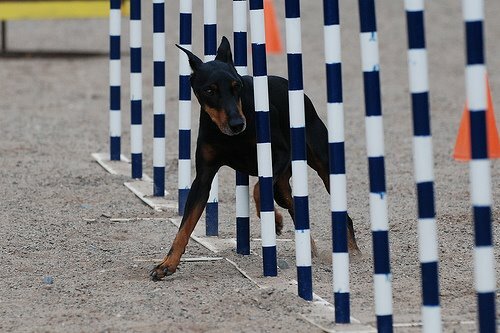 The Manchester's natural athleticism, speed and exuberance make them an ideal choice for dog sports--though, like most terriers, they have a mind of their own and can be a challenge to train. But that's half the fun, isn't it? 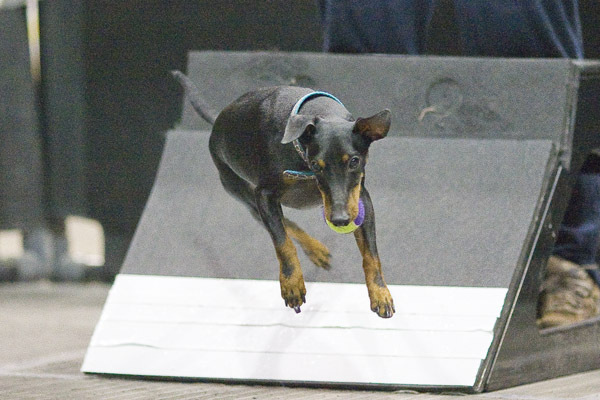 The Canadian Manchester Terrier Club	supports all Manchester owners and prospective owners interested in taking part in competitive dog sports! Our members include owners involved in all facets of the dog world and we're always happy to share training tips and tricks.